We’ve had our ups and downs, just like any other couple. On 14th February Matt and myself celebrated our 6 year anniversary. Most years we’d book somewhere last minute, but this year Matt decided to book something in advance. 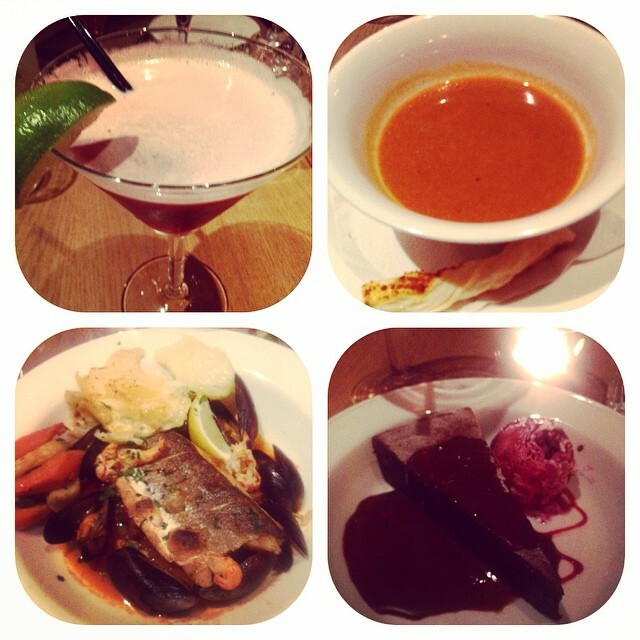 This year we went to Le Bistrot Pierre, which is a french restaurant in Sheffield. The Valentines menu looks absolutely amazing, which it was! The restaurant was so busy, the staff were rushed off their feet. I was surprised with how busy it was because we’d chosen to have our meal quite early. After we were seated at our table, I ordered a Strawberry Daiquiri cocktail straight away. Loved it! To start, I had the lobster soup. It was so delicious! I’m a lover of sea food. For main I decided to have the sea bass because sea bass is my absolute favourite fish. It was so soft, but tasty. At this point I decided I wanted another cocktail, so I decided on a Cosmopolitan. To finish, I had an amazing chocolate dessert with blackberry ice cream and a chocolate sauce. I have recently found out that I’m intolerant to dairy, but I decided to have what I fancied because it was such a special occasion. Our meal was amazing, the restaurant staff were wonderful and I really did have such a lovely night. I’d happily return to Le Bistrot Pierre again! "What I Wore Today – Bone Machine Vs Galaxy Blue Inside Out Dress"
"5 Reasons Why My Mum Is So Amazing"